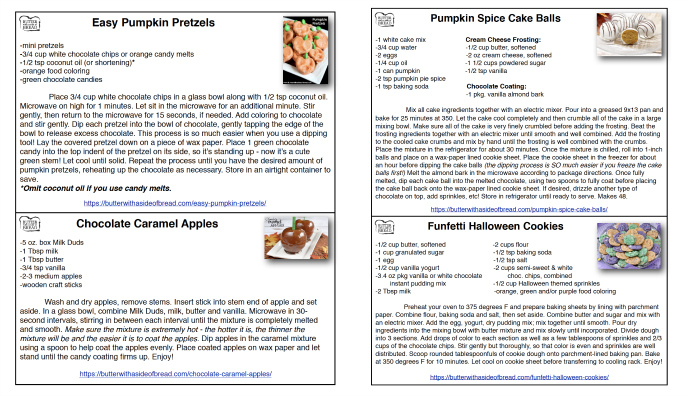 Spooky & Delicious Halloween recipes in a PDF that will be available to download immediately following your purchase. This collection includes all of our favorite Halloween treats, desserts and other fun Fall recipes. Quick & easy treats, and all of them are perfect for your next Halloween party! Chocolate Caramel Apples~ made in minutes! Popcorn, fudge, cake balls & SO MUCH MORE! All of the recipes are formatted into printable recipe cards so you can easily print them out & store them in your recipe file! Here’s just a sample of some of the recipes included. great buy! my kids are so excited to make them all!